Congratulations to the Social and Decision Science Department on getting press: The Pittsburgh Post-Gazette covered the opening of its CMU Research Café downtown, an initiative of the Center for Behavioral Decision Research (CBDR). The facility took three rooms on the second floor of Fifth Avenue Place that used to hold a Sam Goody store and transformed it into a space that benefits Carnegie Mellon, its students, Highmark (the main tenant of the building), and the vendors providing the food. Of course, the CBDR has already made use of an unusual strategy for getting the citizens of Pittsburgh involved with its studies: The Data Truck was rolled out in June 2007 to travel around Pittsburgh and perform studies with large crowds (Steelers games and shopping malls). This resource is important for a highly varied sampling of subjects — an important aspect of any fair study — which is not readily available on a college campus. The introduction of the café adds another, even more attractive option to take advantage of this same resource. With all the hype about this new research café — CMU news and H&SS are all a-Twitter with excitement — it’s easy to get caught up in celebration. And why not? Not only will CMU researchers benefit, but the Pittsburgh economy will as well. Like the Waffle Shop is doing for East Liberty, this CMU-specific locale will draw more students downtown. Its location in Fifth Avenue Place makes it an easy place for those working in the building to drop by for a bite, meaning that students get the benefit of more subjects and the vendors get the benefit of more diners. 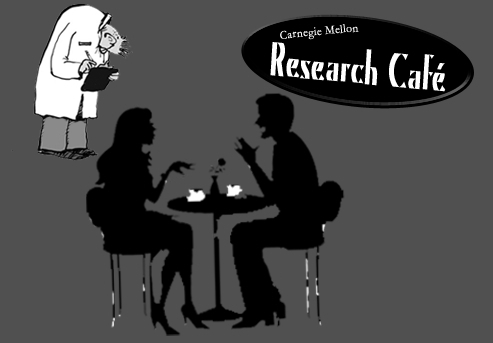 Ultimately, this café is a fantastic idea — it gets the public to the researchers who need an unbiased sampling for the best results, and it can only help make Carnegie Mellon look more innovative as it spreads further into Pittsburgh.